small café with 24 seats (a few of them high perches at a counter or smack in the window – Casella says people love that window table) and often booked far in advance. (Full disclosure: I do say it’s me when I call and come at a time they suggest). But from the tone of your query, I am sure you are looking for something grander, a real restaurant. Convivio with a sleek new design by Vicent Wolf and rustic southern Italian dishes lovingly recreated by chef-co-owner Michael White is obviously no secret – so you may want to book right now. We order sfuzi (little tastes of things) for the table and a much-too-lush pasta. A bowl of orecchiette with tripe, sausage, and wild fennel, or the homemade fusilli with pork shoulder and a rich creamy melt of cacciocavallo cheese to stir in makes it a meal for me. But there is also a $59 four course prix fixe. 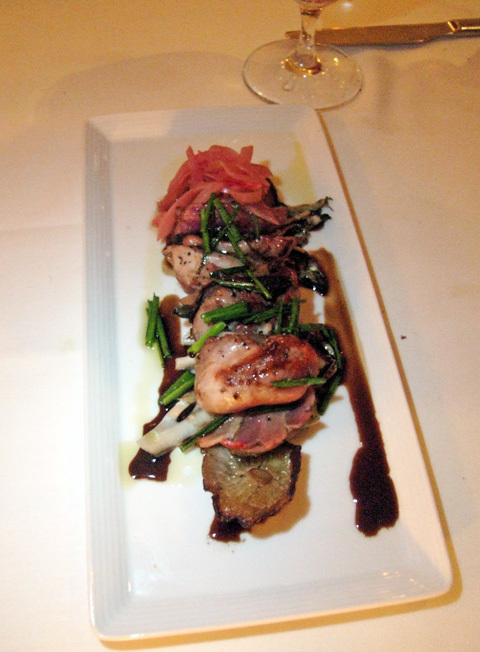 For my Convivio review, click here. Locanda Verde in Robert De Niro’s Greenwich Hotel in Tribeca with Andrew Carmellini in the kitchen is my newest favorite but neophiliac lemmings and cogniscenti as well are pouring in so it will also be tough to book. And alas, it’s very noisy. Go to my BITE on Locanda by clicking here. You might want to check out my favorite Italian spots collected in a roundup I wrote called Loveable Italians. Click here for the Ask Gael Archive.